Summer is vacation time, so whether you can travel this summer or not, let’s talk about real HSP travel. As some of you know, last summer my husband and I embarked on a six-month “sabbatical,” as he called it. For me it was a pilgrimage. A pilgrimage is defined as an “intentional journey, possibly a long one, to a goal sacred to you.” A pilgrim is “a person who journeys, especially a long distance, to a sacred place as an act of religious devotion, or in search of a sacred goal.” I will tell you more about mine someday, but let’s talk about what might be yours. Because you are an HSP, I can be fairly certain that you are probably spiritual in some way. “Spiritual” has many meanings (look it up if you wish), but maybe that’s good. You can define it as you wish. And that means you should think seriously about a pilgrimage. If you google “pilgrimage sites” you will be amazed by the possibilities. If none of them call to you, no problem. Probably you already have one in mind or heart, if you dare to imagine actually going there. What is a place you consider sacred that you would like to journey to? Could it be an inward rather than outward pilgrimage? Would you do this alone or with others? What cost (time, money…) would you be willing to incur to reach this sacred place? If there are obstacles, even if they seem insurmountable, if you get wildly creative, how might you imagine you could surmount them? I’m fortunate in that any place that is fairly wild and undeveloped is a sort of spiritual experience for me. I connect to the energy of the entire ecosystem, become one with it; it feels like home to me and everything within it a part of that. Because of this, there are few obstacles for me to reach a spiritual place. It is such a blessing to live close to or in the wild like that. I do also, and have been reading about those urbanites who are waking to the wild in their cities or right near them. You may like these pieces of “travel literature” also: Robert MacFarlane’s “The Wild Places” and Melanie Challenger’s “Extinction”. I walked the Camino de Santiago last year. As an HSP, it was a harrowing pilgrimage for me; physically exhausted from walking 15-20 km each day, sleeping in a different bed each night, little or no healthy food available. By the time I finished, I was in adrenal exhaustion and unable to appreciate the experience. Lesson learned; what most of the world considers a pilgrimage might just be the road to hell for an HSP! Wow, super helpful insight. I was actually considering the Camino de Santiago. Thanks for opening my eyes to the challenges for HSPs on a trip like this. I walked the Camino de Santiago and after the initial shock of communal living I had an amazing time. It was the most peaceful beautiful experience I have ever had. Every day I had only one thought, “This is so beautiful”. It was such an amazing experience to be disconnected from everyday life and spend time with myself just walking in a beautiful country. Yes, there were difficulties, but they did not lessen the beauty of the trip. To each his own. Hello, I just wanted to add that I’ve also walked El Camino de Santiago in 2006. I don’t at all want to dismiss what Cay has said, as that was her experience, but I would categorise myself as a HSP and I found the experience to be utterly peaceful and completely life changing. I did find looking for accomodation and food every day and encounters with some people slightly stressful but for me, it was definitely minor in comparison to the experience of just walking every day and being in the moment. I went alone and mostly walked alone but met and walked with many really delightful people (and some interesting characters too!) from all over the world, along the way. Definitely up the top of my list of wonderful life experiences, like having children. Catherine, thanks for that post. Several people I know walked the Camino. Because I love to walk and be outdoors, I was considering it until I thought about all the people (strangers), the stress of communal sleeping, dealing with strange situations and decided I’d rather be on the trails here that I love. I enjoy nature a lot more than I enjoy people (especially strangers). Do keep an open mind about hiking the Camino. I hiked it from January to March, and it was largely a solitary experience. I had most of the hostels completely to myself. As a HSP, it was exactly what I needed: an escape from my day-to-day, from my familial relations, and a journey into myself-mind, body & spirit-via the most direct course to reflection and to self – walking. June–Sept is high season on the Camino, but off season has much less traffic. And even during high season, while most pilgrims are on the Camino Francés, one can still find solitude on the Camino del Norte. There are many routes to Santiago and it is possible for a HSP to have an enjoyable, rewarding, spiritual experience. of walking TheCamino..I guessI should put my sites on some place else! I felt drawn to the Camino de Santiago for a number of years. This year things seemed to fall into place and I made the plunge and decided to do it. I will say that as an HSP there were many aspects of it that I found very challenging. I went by myself and at times was very lonely. Also, the biggest challenge for me was sleeping in hostels and not being able to get a proper night’s sleep. I did it for most of the time but near the end I started to get sick as my immune system was down and I decided I needed to spring for a private room. I also walked the most popular route during the busiest season. I learned a lot and would probably try to walk at a less peak season and also allow myself the time to take it more slowly and to take a private room when I felt I needed it and not feel guilty about it. I needed to not compare myself to others. I also found it much more physically and mentally demanding than I expected, and also made quite a snap decision so did not haev much time to prepare. All that being said, it was an experience of a lifetime and I can’t stop thinking about it. There are few places in the world with such a supportive infrastructure to do a self guided walk, and also with such a spiritual atmosphere. It was a spiritual pilgrimmage for me in the truest sense of the word. I will never forget the feeling of completing it and reaching the Cathedral at the end. I learned so much about it myself, and I learned that I am a strong person who can do anything if I put my mind to it. For that reason, it was so powerful and I am planning to do it again some day, God willing. It is not for everybody though for the discomfort and reasons mentioned. I just wanted to add that there are quieter routes which I would most likely do next time. I just felt like I needed to do the main route to get that experience of it for this first time. I came away from the experience with a feeling of peace like no other, that I still carry with me to this day. There is nothing like the experience of walking every day in meditation, enjoying nature and achieving that feeling of stillness and tranquility. Silent in nature…. Spot on. Thank you ! Amy, I am so excited for your trip to the Hoh! I used to live on the Olympic Peninsula and part of my job was to educate and inspire travelers to experience the Olympic National Park and all the natural beauty that area has to offer. I’m not sure if you’ve been to the forests of western Washington before, but for me, being surrounded by the quiet trees and endless green color is truly a spiritual experience. September is my absolute favorite time in western Washington and the rain forests because the leaves on the maple trees will just be turning a gilded golden color but the ferns and moss will still be green. I wish you the truly wonderful time you are looking forward to. Spending time in the dessert, the american west dessert has profound meaning to me. Some of these places have petroglyphs that inspire and make me wonder How did all of these happen? I’ve been in Utah, in the dessert travelling off of paved road only to see 8000 year old petroglyphs…it was mind boggling and truly a spiritual experience to me!!! Petroglyphs are so special – they hold the energy of something so precious and age-old. And the dessert also has a fineness that seems to magnify such invaluable information … THank you for affirming that and linking to such wisdom…and now sharing it with all here. I have been struggling to decide about whether to go on a tour to Kyoto in Japan, the birthplace of my spiritual practice: Reiki. Your blog post comes at the perfect time as I have been able to shift from seeing this as an expensive holiday to a pilgrimage. I have indeed been getting creative about the cost of getting there (which I don’t have in savings) and am being blessed by support from my community through crowdfunding. So thank you for the definition and for pointing out that a pilgrimage is a good idea for an HSP. I am not daunted by travelling the distance and know that it will be a very special experience – both externally and internally. Go! I traveled Japan in 2014. Before I was aware of HSP. We spent the first 3days in Tokyo. This is when I experienced a strange sensation come over me I couldn’t fully explain and led to me doing some research. I went inside one of the pachinko joints scattered around the city. I was inside less than 5 minutes but it was like my brain had been scrambled. Try to Imagine being in a room with hundreds of people emptying buckets of metal ball bearings into extremely loud video games featuring high pitched anime voices backed by video game sound effects and the room is also full of cigarette smoke. Add on the visual smorgasbord of lights and mirrors and flashes and I was in full sensory overload. I had to step out and I felt an overwhelming horrible sense of impending doom. I felt shell shocked, off kilter and unbelievably depressed. I was so confused for hours. I felt like I needed to get drunk to make it go away. So other than that experience Tokyo was tolerable. I wouldn’t recommend Tokyo to a HSP for more than a few days because it can be overwhelming. Kyoto was my absolute favorite city. I still yearn for it. The other cities we visited were also amazing and the Japanese people are the kindest, cleanest and most polite of the 15 countries I’ve travelled to. I can’t wait to go back. It is seriously like another more advanced world. There’s something very liberating about walking around naked at one of Kyoto’s many hot spring baths. I cannot praise Japan enough. It’s fantastic! I do agree that limited time in Tokyo (or other large city) is recommended for an HSP. I lived in Osaka for 6 months in 1982, then in Tokyo for 15 months. I taught English & Spanish to businessmen who worked overseas. At that time, there was a love-hate relationship with the US, copying our trends, yet shunning those Japanese who had lived abroad. I did not find the Japanese courteous in public – there was a lot of pushing, a lack of recognition of personal space that people in the US are used to. (Each culture defines courtesy differently). One on one, yes, there is more courtesy. And yes, they are much cleaner than in many other countries. (I have lived & travelled in Latin America, Seattle, & Honolulu). Timeliness is valued as well – trains were always on time back then. (Buses too, usually, unless there was an accident or heavy traffic). Also, communications are not direct – people will smile, bow & say “Yes”, then completely ignore what they agreed to (& do what they wished). One has to read between the lines, as it is not considered polite to directly say “No”. Communication is much more circular & intuitive. Not direct, as in NYC – which can offer the other extreme (for some of us, experienced as “blunt”). Due to being both an HSP & having SPD, (undiagnosed at the time), I was completely overwhelmed. It affected my mental health & nervous system so much that I had to leave my then husband there. (I came to Honolulu to study as he continued his studies in Tokyo). I could not handle living in Tokyo, riding the crowded subways & trains (with personal space differences – i.e. they are comfortable in tight spaces & push others in lines. I experience this still in Hawai’i, e.g. at the grocery store, with Japanese tourists). I was also very affected by the traffic noise & lights (just walking by the Pachinko parlors mentioned above set me off), the smoking, the many signs (in Kanji – written in Japanese, which I didn’t understand). The shopping streets are great for the HSS (High Sensation Seeker), with such variety, one store & kiosk after another. For me: Total overload. Being in a country inn (ryohan?) offers the Zen experience. A true Japanese Tea Ceremony, or learning brush painting (forgot the term) are for me beautiful, calming & sacred activities. Going to hot springs in the country is also a wonderful experience. My only peace was in Kyoto, Nara & traveling in the countryside. Seeing Mt. Fuji was special, as well as visiting Temples (except for the crowds). Those places were very beautiful & sacred. Of course, each one has different levels of sensitivity, different preferences. And things may have changed since 1982 – 1984! Kyoto is a very beautiful city, and if you go, try to visit the bamboo forest in Arashyama. It’s a short train ride away. It can be very busy with day-trippers from Kyoto, but I stayed in an airbnb for a couple of nights, and so was able to experience the bamboo forest in the early morning and also evening when the day-trippers left. it was almost, but not quite silent, as you could hear the wind whisper through the poles, and a rustling sound. There are many temples and shrines, and there is one small one covered in moss that is also a very special place in Arashyama. Hope you made it there, or have plans to go soon! I too, spent a couple of days in Tokyo, and although it was fascinating, the frenetic pace tested my HSP sensibilities. Udanaka up in the mountains is a little hot springs town, and I recommend staying in a ryokan there – another special, peaceful experience! I live in the Netherlands where there is hardly any “wild nature”- but there are some woods that are still reasonably large. Like the area called The Veluwe – beautiful, with woods, sand dunes, heath. This is a sacred place to me and I’m lucky to have a sister who lives near there. Also, there is a large museum there called the Kroller-Muller museum with a fantastic collection of art that I love, and a beautiful art garden. This is also a sacred place to me. So on a pilgrimage I might go there – would take a day to get there by train and bus, and get back again. It doesn’t have to be on foot, does it? For me, also living in the netherlands, this is very recognizable. I love to go to the Staatsbosbeheer Campings (located in the few places peaceful of nature we still have) to get in touch with myself again. The fewer people I meet at those times the better. Hikes and relaxing in nature with a good book or just sitting and observing the environment give me a strong sense of inner peace. I will have to check out the museum you mentioned, thanks for the tip. I just got back from a family reunion that was very like a pilgrimage. It was my dad’s dad’s side of the family. I didn’t grow up knowing them, nor did my Dad. The last time I went to that place was with my Dad 26 years ago. He died of cancer a couple of years later. I was nervous about going since I hardly knew anyone there. But I’m so glad I did. It was a healing thing to connect and reconnect. I also discovered that some of my hsp traits–physical and emotional come from that side. We live in Sweden, a country where we have “allemansrätten”. Allemansrätten give all people the right to be in the nature without any special permission from the owner of the land. This morning my wife and I was walking in a small forest right in the center of our town Gävle. We listened to the birds, watched the blueberries growing, feelt the creaking walking on the path and the smell from the fir needle. To me a pilgrimage is a way to find my balance again. I live and work in a big city (noise, smells, summer heat, pollution, streets full of people, cars, bicycles, a job that requires a lot of brainwork, flexibility and communication skills) and as a HSP I find (obviously) all these combined stimuli exhausting on a daily basis. As a remedy I try to walk home from work at least once or twice a week – a one hour hike through quiet suburbs and forest. The serene, green space and the action of walking is the antidote to my normal work-day and help me to reconnect to my soul. I have time to think and time to get back in touch with myself. In addition to that at least once a year I take a week off to go on a long-distance-hike, sometimes alone, sometimes with a friend. To me this is what pilgrimage means – the sacred goal to be yourself, to find peace within yourself. A way to look after yourself and become whole. Nature is a great healer, but there are many ways to achieve this; someone mentioned art, someone mentioned Reiki. I love hiking, but I will never, like one commentator did to her detriment, walk the Santiago-de-Compostela walk! In my opinion such popular, I might almost say, fashionable walks are not HSP friendly. Living in Germany I have thousands of well waymarked routes right on my doorstep and last week I walked a 105km long hike called “Albtraufgänger” through the beautiful Swabian Alps. Apart from the weekend, I hardly met anyone during my walking; I had the varied and wonderful landscape almost to myself. I always organize these trips myself and so I can adapt them to my needs in choosing overnight stays and restaurants that I think will be HSP-friendly. I have been to Kripalu many times (I live close enough to go for a day, and it is my favorite mini retreat!) Some things you might like to know as an HSP: if you don’t want to engage in socializing during meals, you can take your tray to the silent dining room (a small room across from the main dining hall). The Sunroom on the 4th floor is a “quiet room” – no conversation – with sofas and comfortable chairs. It has Wifi and is always quiet and peaceful. Nice place to read, nap, do crafts, or quietly catch up on email. The Meditation Trail (it’s in the woods, up a somewhat steep trail – ask someone to show you where it is on a map) is also very peaceful and worth the climb to get to. The beach can be reached by a short and easy walk along a pretty woodland trail and like everything else at Kripalu, it’s a scenic and restful place. The Labyrinth (outdoors) is also worth walking, you can walk it on your way to the beach. Finally, don’t miss the women’s whirlpool! Perfect for tired muscles either before or after a yoga class or hike! I have known where I belong since I was a small child. I am now an “elder” and coming to terms with that has meant acknowledging that getting to my place and living there was/is the most important pilgrimage of my life. While I still want to travel — small pilgrimages, if you will, to other beautiful and/or meaningful places — knowing that I am where I am supposed to be is the most fulfilling pilgrimage I can imagine. Beautifully said and understood… Your words resonate with me… Just having found out about HSP at 59 years old… Always knowing I’m ‘different’ yet feeling special and very spiritual even at a young age. Becoming comfortable and at peace… at this point. I am 55 and have known since I was very young that I was different. I am so glad to have found out why I am the way I am. I feel a need to be with others that are like me, that understand. I do feel things so intensely! I have worked in the medical field all my life and I would feel the pain of the patients. I am very creative, I love to create! I am just coming to information about HSPs and this website in particular. And today, this page. In a month, I am taking 10 days “off” to travel to some place I find beautiful and peaceful. I am going with my dog (who I am convinced is an HSP of her species). I will see some people I know along the way but the focus is on the terrain that is my favorite (forests, waterfalls, rivers, lakes). And, I picked the dates I picked because they are considered the most sacred days of the year in my religion and has always been a time of year I have loved and felt renewed. So, in other words, without even knowing it, it appears that I have designed a pilgrimage. It’s nice to see that, through intuition, we can do exactly what we need for ourselves. How amazing to find this article. As an HSP I value Elaine’s books and work and a lot and it so happens that I have been planning a big pilgrimage for this year. I walked 100 miles by myself for the first time for my last birthday, to a place very sacred to me. This April I plan to walk the whole coast of Brittany, France (my homeland) – 1000 miles in about 4 months. The idea of pilgrimage is very dear to me, and I am looking forward to it – while wondering at the same time if I will be up to the challenge! Thanks everyone for your comments! For me too, the Camino de Santiago has been a long-held dream since before it became so well known and “fashionable”. I have some ongoing health challenges, and so I know I wouldn’t be able to do it the rugged, “authentic” way I’ve read about- iron bunks, washing under a cold-water tap, long treks every day… yet I still think there may be something for me. I just have to find my own way of doing it. For example, some friends of mine are doing it in sections, once a year. Or there are organisations that will transport your backpack for you. Hotels rather than hostels, etc. I guess I’m a little regretful not to be able to do it the “authentic” way, but I guess authenticity is being true to yourself, in the end! I will be doing the Camino this September with a small tour taking a max of 7-16 people for two weeks. They put us up in high end motels (not hostels), transport our luggage, and have a massage therapist come along. They purposely want you to be able to focus on the walking during the pilgrimage, and have as much or as little involvement with others as you want. All hotel and meals are pre-reserved, single rooms. The company is run by a husband and wife team, the husband born in Madrid, and devoting his life to making meaningful pilgrimages for people who want to focus on the walking and not the other potential worries. It’s expensive, but I also realize I’m paying for resources to take care of myself during this journey. I’m a little nervous, but I am seeing this as both a meaningful pilgrimage and a personal challenge to practice both emotional management and self-care. The company is called Duperier’s Authentic Journeys if anyone is interested. I dream of traveling to Iceland, on my own… I think. This is so great!! I am always thinking about my next pilgrimage. I just learned at age 61 about being an HSP. Profound insight for me. It has answered so many questions I’ve had all of my life. I am recognizing as many others have written that nature is healing and calming for me. I also am deeply moved by cathedrals throughout Europe. I live in Florida and our beaches are great, but, there is something about mountains that reaches deep into my being. Washington state is spectacular. The combination of water and snow capped mountains together never ceases to take my breath away. I saw a line in the news that pops up on my iPhone. Explained why some people prefer walking in nature and don’t enjoy competitive sports. Ms. Aron was the researcher being referenced. 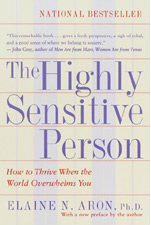 I downloaded the audible version of The Highly Sensitive Person. Felt like I was ready my own very personal biography. I will continue to use the talents of this “type” in my work as a physician…..as I always have. I will give myself a break about some things. Thank you for this book. Nature is fine for HSPs who want to get away from the hustle and bustle of the cities and under certain conditions, you can communicate with inanimate objects, as Michael Crichton, a very strong HSP, related in his book of adventures talking to a cactus while he was under the influence of peyote. But it is the People, past and present who, at least I, can communicate better with their essence. For instance, an acquaintance of mine went to Bangkok and sent me some pictures of a garden where there were several statues, one of Buddah, among others. I immediately captured the essence of the place and the people that had built the garden in EXACTLY the same way and depth I can capture the essence of any person I meet. So, in my case, and I know there are infinite degrees of high sensitivity in persons with it, I do not need to travel anywhere to get the essence of a place or person, and just look at a picture or a well written book describing them. Unreal? Not really. Depends on your degree of evolutionary advancement. As I tell people that I have tried to explain HSPs to them, We are not better than you just more advanced. I loved reading all the comments on this page. As an HSP myself I can relate to a lot of what has been said. Travelling can be overwhelming for me with jetlag, different places to sleep and lack of privacy. I have always dreamt of creating a place that I would love to stay at, and that came to fruition with Mountain Horse Farm. Mountain Horse Farm is a horse sanctuary and wellness retreat in the beautiful upstate NY Finger Lakes area. We offer overnight stays in luxurious rooms with fireplaces & Jacuzzis and glamping, closer to nature, in traditional Sioux tipis. Our 33 peaceful acres have hiking trails, fields filled with wildflowers, wooded areas and lots of wildlife. Our philosophy is to keep everything as natural as possible. The horse sanctuary gives a forever home to our beloved horses and we are passionate that they live a life as natural as possible. They are never being ridden and can move around freely. I loved reading about Elaine’s experiences with horses on this site, I am Eagala certified as well and guests can spend time with our horses. I created Mountain Horse Farm so people can get away from it all, to reconnect with themselves, nature and each other, to find quietness, to experience healing and personal growth. If this resonates with you, please feel free to read more at http://www.mountainhorsefarm.com. I am looking forward to spending time together. Having taken the test with a quote of 26 points, I noticed with a smile that most of my journeys between 1979 and 1997 were pilgrimages! They regularly took me to summer camps of Tibetan Lamas. The only exeption was a catastrophic marriage abroad. After 1997, I was in a relationship that took me to different places, but many of them had some traits of a pilgrimage; our goal was art. Yes, my husband (No 2) and I both prefer a considerate, calm style of travelling, communicating a lot about our impressions, evaluating it all well by writing journals and taking pictures. Ten years ago I heard about long distance walks and pilgrimages for the first time, at age 49. A woman I met had walked the Camino a few times, as well as Wainwright’s Coast to Coast walk in England, and invited me to go on that walk with her. It’s about 200 miles from one coast of England to the other, and the scenery is absolutely stunning. You pass through 3 national parks – the Lake District, Dales, and Moors. Because there aren’t many hostels, or pubs or farms with rooms for rent, you have to plan and book ahead. And because it’s the UK, it’s more costly than the Camino in Spain. But we packed sack lunches and ate inexpensive pub meals on our way, and it was one of the most spiritual things I’ve ever done. To walk over two weeks all day, every day, mostly in silence (she liked to listen to music with earbuds in, while I liked the sounds of nature) was amazing. It’s not well-known like the Camino, so between that and minimal accommodations, there were hardly any people. I’ve been wanting to do a long distance walk/pilgrimage again ever since. Maybe it’s time, as I’ll turn 60 in 2018. Discovered that I was an HSP shortly before the New Year started. What a difference it has made in my life so far. I’m going on my first cruise with my mother this year and our destinations are going to be quite busy. I know I’m going to need the downtime to recover and I’m starting to plan that out. I plan on wearing my special Maori necklace for the trip. Normally, I avoid jewelry altogether because I find them uncomfortable to wear. The only exception is the necklace which feels very comfortable against my skin and its energy brings me peace. Taking it along will help me as it is familiar and comfortable. I can retreat into my inner life to keep calm while still taking in the sights (the architecture will most likely keep my attention as the buildings are quite old). Another interesting place to visit would be the wilds of Hokkaido in Japan. From what I’ve seen, the forests look almost identical to the ones where I currently reside. A lot of the same animal s live there too (such as bears, foxes, and deer). I just might give that one a go one day. I have however, already signed up to a 9 day trek in Nepal for my 40th birthday and its for charity ….any help and feedback would be warmly received – because realistically….. I have no idea how I am going to do this…..
I’m so grateful when I follow my instincts, amazing things always happen, such as finding this site, learning that labels aren’t necessarily a bad thing, and feeling a connective energy just by reading the comments here. I’ve often longed for a pilgrimage, and discovering the insights here are so helpful and affirming. I’ve been working towards my own pilgrimage for about 12 years. What do you think you want to do for your Pilgrimage, Mary? Have you ever solo-traveled before? There are a couple of lovely groups on facebook (women travelers and solo women travelers) that are really affirming, if you haven’t done it and need some advice. I am so thankful for all the information on HSPs I’ve learned over the past year. I especially love the idea of a pilgrimage, because it puts a name to something I’m doing in a few weeks. I spent many summers on Oahu as a kid, staying with my brother, and came to know the island as a second home. I am blessed to have a dear friend (we call her “Aunty”) who has a condo in Waikiki, and she allows my family and I to stay there whenever we want to go. I decided that this year, since I have the miles for the trip, I’m going alone. I’ve solo-traveled before, and until I learned about being HSP and that I am an introvert, I always felt somewhat guilty over it. Not any longer—it’s essential to my wellbeing, and thankfully my husband and family get it. The last time I was alone in Hawaii was 2010, so it’s definitely past due. It may seem counter-intuitive—why go to a bustling metropolis with all those people and tourists and activity when I’m an HSP? However, for me, Hawaii is not Waikiki. It’s got my favorite beaches, the library (look up Hawaii State Library next door to Iolani Palace and you’ll see why I love it), places I can go to be with other kamaʻāina that don’t involve tourists or crowds, and favorite restaurants that don’t appear on any other state’s business listing. The best part of it is that I can enjoy however much energy as I want, and then retreat to the very quiet condo. I can also be completely isolated if I want, with nobody I have to talk to or interact with—unless I choose to. All that with sunshine, that beautiful Hawaiian light, and no snow (unlike my home state of Maine)…well, I can’t wait for my pilgrimage to begin. Thank you agin for the HSP information. I am reading and learning more and hoping to continue learning how to manage being HSP in a very chaotic world. I’m so grateful for this opportunity to share. 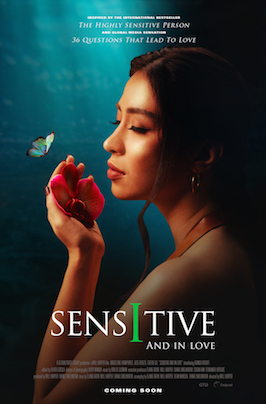 I have known that I am a highly sensitive person since I was a child (I’m 67 now), but I didn’t know it was “a thing.” I always felt that I should try harder to be more like everyone else. At the same time, I liked who I was and kept that, secretly, for my self. I also was very lucky to have supportive and understanding parents; they gently encouraged me to be more outgoing by offering activities that were not overwhelming. More importantly, they were protective of my alone time and allowed me to have solitary experiences. In the last 10 years I have become involved in Andean spiritualism. It is a tradition that offers much to people like us. Two years ago, I realized a dream of traveling to Peru where I studied with spiritual teachers in a pilgrimage to sacred sites, and worked with indigenous shamans. My whole experience of the Andean spiritual tradition has been life-changing. I have found a home where my sensitivities are recognized as valuable healing abilities. I am learning to use them to help others. I also have a question: do you all get migraines from stimuli such as bright lights, strong smells and loud noises? I also have an intestinal disease which I think may be related to stress from a lifetime of overstimulation. Just wondering if this is a commonality. I can very much relate what you have written here to what is there in the Islamic Religion, the fifth pillar of Islam is called “Hajj”, which mean going to Mecca and performing a journey between different sites on a fixed time and date, the “Hajj” takes place once a year and it is mandatory for an Muslim to carry it out once in life tine at least (if it was possible), the greatest part abut “Hajj” is that it is a call to abandon the world for sometime and focus on the self and its relation to others. The quote “I FEEL EVERYTHING” from the movie Lucy has been the reference I’ve used to try and explain who I am and why I function/behave the way I do. For approx. 36 yrs. I’ve been struggling. Despite the norm I survived severe abuse, escaped a cult (birth to adulthood) and then acclimated to society successfully (my case study was published in the New England Journals of Med.). I have worked tirelessly w/wonderful therapists using CBT primarily. I appreciate all your insights, research & applications to the “now”, it is actually very affirming. Trying to connect the dots is exhausting and I hurt for my husband especially and those who struggle to understand me. My managers often wonder why I like a “dark office” :-). I’m told that I have an uncanny ability to read people within seconds/minutes. My therapists call me a “mastermind” & “human lie detector” (creative INTJ), but my mind connects so many things at a time that it is constantly overwhelming. Lately I’ve noticed w/age it saps my energy quicker than ever. I have a son with Autism/Aspergers and he has several traits of sensitivity that I’m familiar with although others aren’t aware of them in regards to myself …. since I don’t want to inconvenience anyone. My journey takes me to a place currently to accept that I am HIGHLY Sensitive and that it is okay to take steps to accommodate myself. I struggle with guilt non-stop, so this presents itself as a very new and challenging goal. I am thankful that I can function daily running a non-profit with my husband (which is very fulfilling & draining @ the same time). I’m going to steer my husband towards a couple videos and one in particular explaining short illiads in the insula/brain. My psychiatrist this week spoke to me about the research being done in this area and thought it would be beneficial in helping me process. I know I’m just a piece of a massive puzzle … but I wanted to say “Thank You”. I think I’ve been doing this without realizing it was a “pilgrimage”. I ride horses as a way to find peace and calm me down. Mostly on a trail (don’t find as much peace and quiet in an arena, just want a connection to the horse I’m riding, whether that’s my horse or someone else’s). Typically horses are afraid to go out without other horses, so a trail riding activity is often with other horses and people. But for those who understand horses, they themselves are highly sensitive to noise and chatter, so if I find the right person, no talking needs to be had, and if there is, it’s at a low volume and quiet. In fact, there are periods of time where I don’t ride my horse or make him work, and instead I will just sit quietly with him. But back to the pilgrimage. My sacred place is high in the mountains, so far away from cities and people, that even a hiker could not go there in the amount of time that a horse can cover the ground. These trips are usually put together by horse packing outfits, which I research extensively to ensure they treat their animals well. So high in the mountains, that even in the dead of summer, when it’s unbearbly hot where I live, it’s freezing cold at night on the trip; sometimes snow is still on the ground in patches. The places we go are so far away, there is no phone signal. We are completely off the grid. It is impossible for me to contact home or work. These trips are hard. I’m not a spring chicken anymore. It hurts to ride a horse all day long. It hurts to sleep on the ground and force my old bones to stand up vertically in the morning. The food isn’t fantastic. You are generally dirty the whole time. The “toilet” is a hole in the ground and going to the bathroom is an unpleasant experience. Because we go in groups with people I don’t know, there are sometimes people who are overly friendly when I want to be left alone. Sometimes they are too loud in their conversation, and don’t understand the nature of horses. Last time I went, my own friend replied to me bluntly about things I mentioned if I was unhappy with my current surroundings, which deeply hurt my feelings. My wife and friends who came on another trip with me hurt my feelings simply by complaining that they weren’t enjoying themselves, while I was having the time of my life. But, each time I’ve gone, I have found one or more opportunities to experience monumental moments on my own, walking away from the group, being alone in nature, appreciating the extreme quiet, the view, the stars, taking a nap in a meadow, and connecting with the magnificent animal that very kindly worked so hard to bring me there. Once I’ve returned, I feel a sense of accomplishment, and refreshed from the hurried world. It’s a trip I long for every summer. This year I didn’t get to go due to a surgery on my shoulder and the resulting recovery. I’m finding myself falling apart emotionally, and longing for the solitude of the mountains on a horse. Next year, I will go again, and in the meantime I just have to find other ways to get away from the noise, the smells, the light, the people who, sometimes without knowing it, hurt me to my very core. Thanks for this article. Now I know, that at least once per year, I am a pilgrim.